The British Council has apologised to celebrated writer Geoge Orwell for rejecting an essay — more than 70 years after he submitted it. The UK cultural organisation commissioned the work — entitled British Cookery — from the author but rebuffed it partly because of concern about how the piece would be received by the "continental reader", thought to be referring to food shortages in mainland Europe. A full copy of the letter along with editor’s notes from the British Council Publications Department has now been made public. It acknowledged the "excellent" essay but offered "one or two minor criticisms". One of them was that an orange marmalade recipe the Animal Farm author included contains "too much sugar and water". The council has now published the full essay. In it, Orwell observes: "One may say that the characteristic British diet is a simple, rather heavy, perhaps slightly barbarous diet, drawing much of its virtue from the excellence of the local materials, and with its main emphasis on sugar and animal fats". He took a swing at the UK's coffee, saying it is "almost always nasty". "Of tea, on the other hand, they are extremely critical, and everyone has his favourite brand and his pet theory as to how it should be made," he added. In defence of the country's cuisine, he cited Devonshire cream, stilton cheese, crumpets, potato cakes, saffron buns, Dublin prawns, apple dumplings, pickled walnuts, steak-and-kidney pudding and roast sirloin of beef with Yorkshire pudding, roast potatoes and horseradish sauce as the top dishes. Anyone who has not sampled these cannot "be said to have given British cookery a fair trial", according to Orwell. “When people overseas talk about the cultural assets of the United Kingdom, its cuisine tends to come fairly low down on a list that is dominated by education, arts, science, music and more," said Alasdair Donaldson, British Council's senior policy analyst and editor of the organisation’s Insight newsletter. 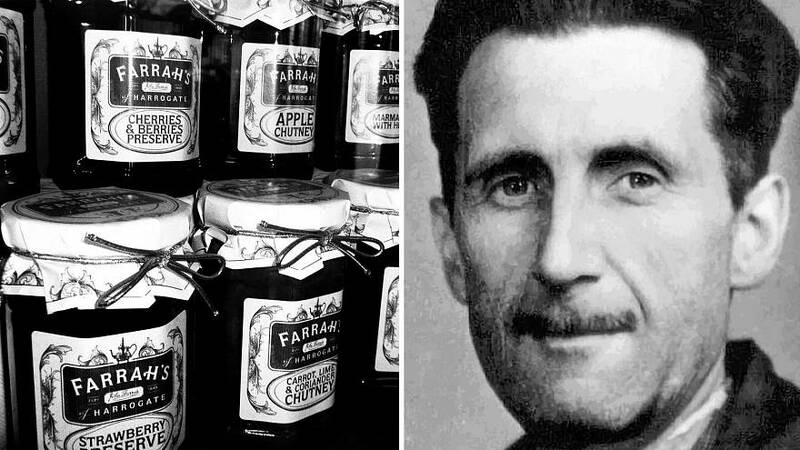 “But despite this, Orwell mounts a sturdy defence of our cooking – and food is one of the best ways in which different world cultures can exchange traditions and knowledge to learn from and appreciate each other. The editorial note given on this recipe was "BAD RECIPE!" but if you want to give the dish a try, here's how. Halve them and squeeze out the juice. Remove some of the pith, then shred the fruit finely. Tie the pips in a muslin bag. Put the strained juice, rind and pips into the water and soak for 48 hours.